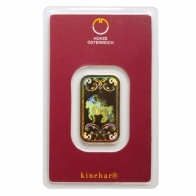 The Austrian Mint issue a range of gold bullion bars, including their Kinebar series which is manufactured by Argor-Heraeus using their patented laser technology to inscribe an image of a Leipzeiger Horse on the back of each bar. 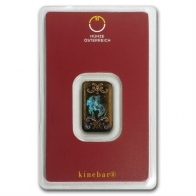 Each bar comes with its own serial number, and is sold in an individual certicard. The Austrian Mint also manufacture the highly popular Philharmonic coin series, which is available in gold, silver and platinum. 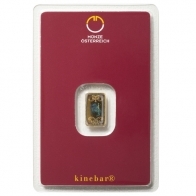 Austrian Mint gold bullion may be purchased via Bank Transfer or Bitcoin, and may be stored tax-free in Switzerland or ordered for delivery.